PetroFlo Synthetic Blend Motor Oils meet or exceed the latest automotive manufacturers’ requirements of API SN and SN-RC. PetroFlo Synthetic Blend Motor Oils 5W-20, 5W-30, and 10W-30 also meet and exceed ILSAC GF-5 requirements for use in passenger car, SUV and light duty truck gasoline engines. PetroFlo Synthetic Blend Motor Oils Motor Oils show improved high temperature deposit control, oil consumption and fuel economy PetroFlo Synthetic Blend Motor Oils 5W-20, 5W-30, 10W-30, 10W-40 and 20W-50 are synthetic blend premium motor oils that provide better low temperature pump ability and protection. 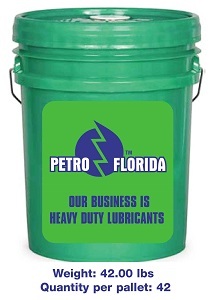 PetroFlo Synthetic Blend Motor Oils Motor Oils are highly refined paraffinic base oils, compounded to exacting specifications. They have a natural high viscosity index, and a highly superior additive package that protects against rust, corrosion, oxidation and wear of moving parts. A detergent dispersant provides control of sludge and varnish. PetroFlo Synthetic Blend Motor Oils are the engine oils of choice for passenger cars, light trucks, powerboats, motorcycles, and other stationary and mobile equipment.